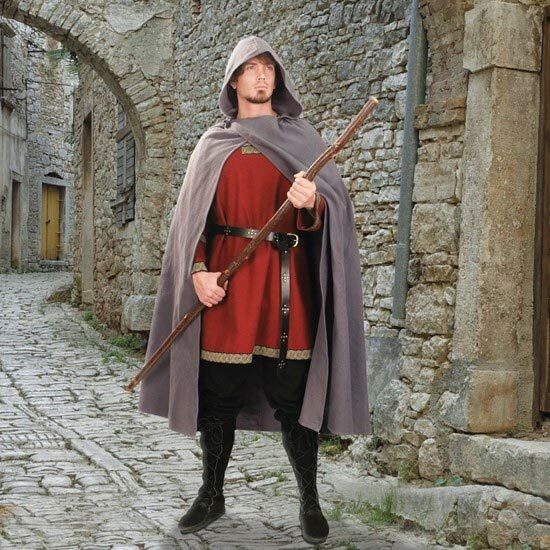 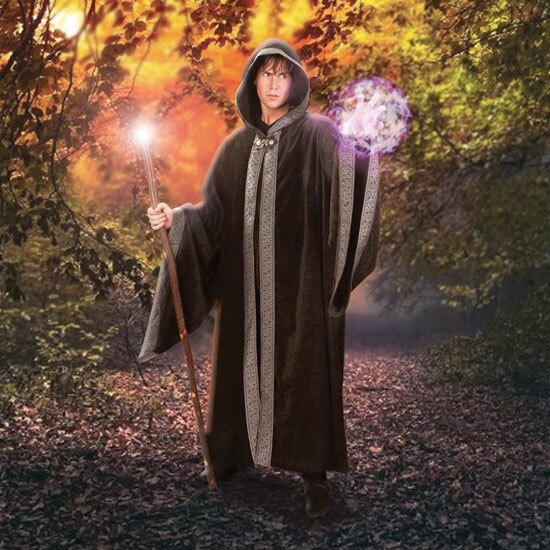 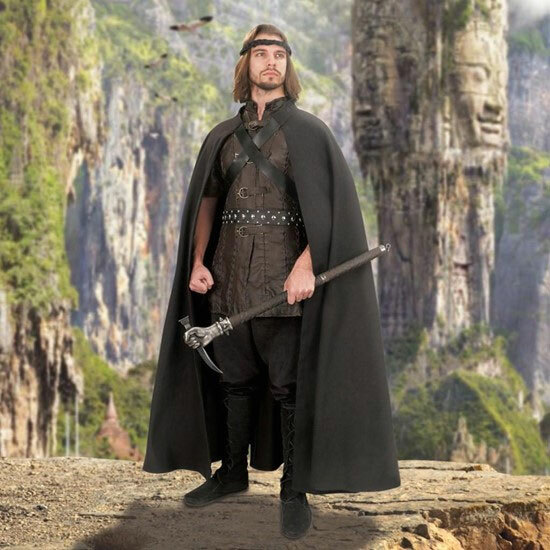 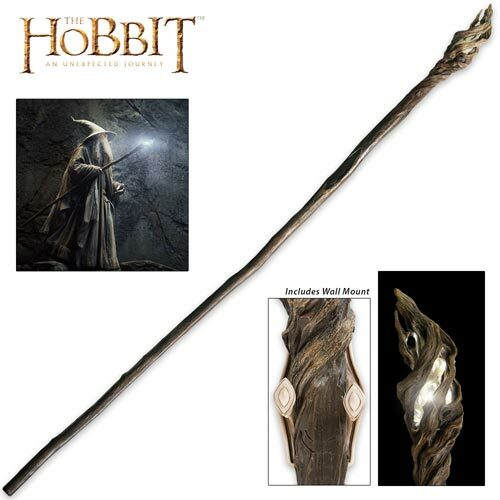 Mirkwood Double-Bladed Polearm for sale is the type used by the Woodland Guard. 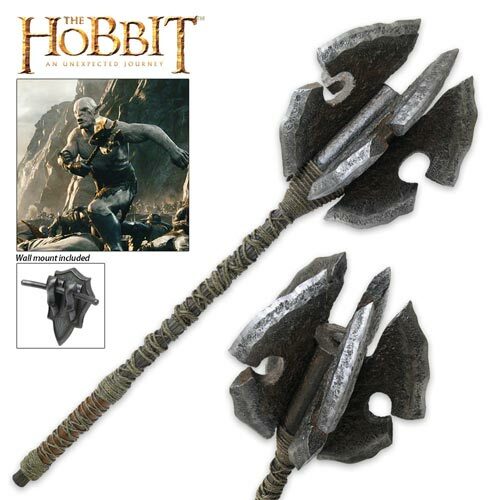 These polearms feature the same styling as the real props designed by Weta Workshop for the Hobbit movie. 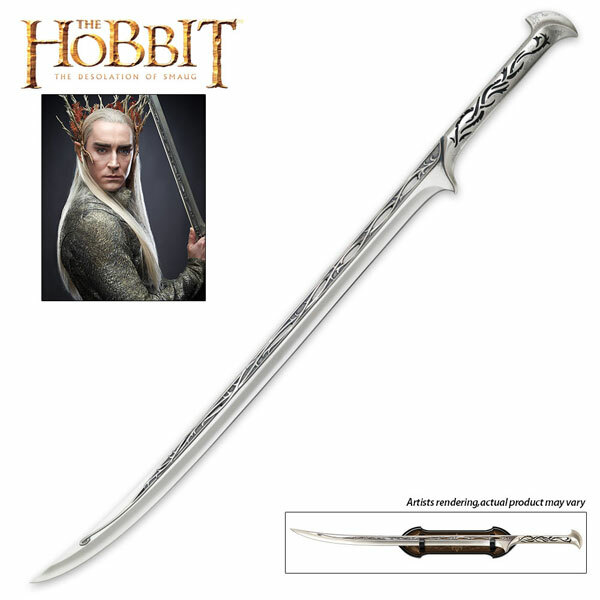 The soldiers of the Elven King wielded polearms like this one. 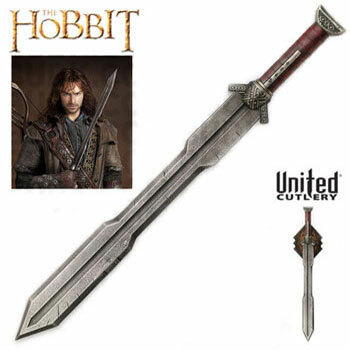 It measures a giant 72 1/8th inch in all. 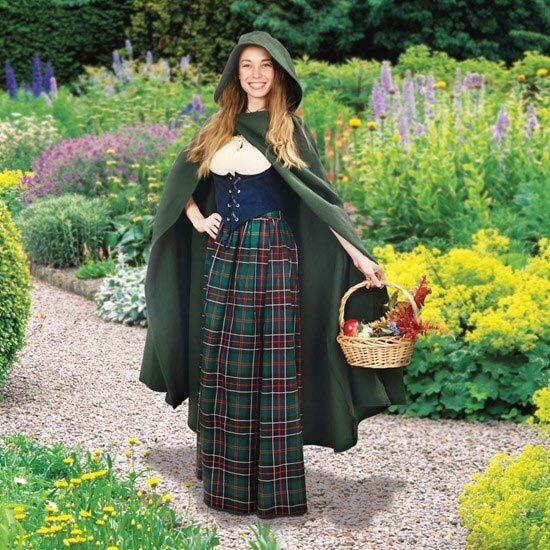 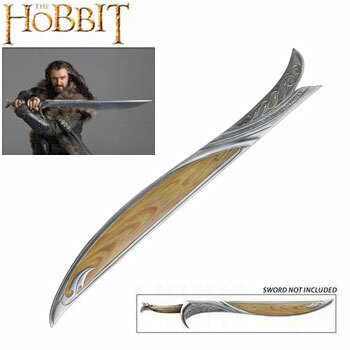 It has a hardwood handle shaft and two 21 1/8th inch curved Elven blades. 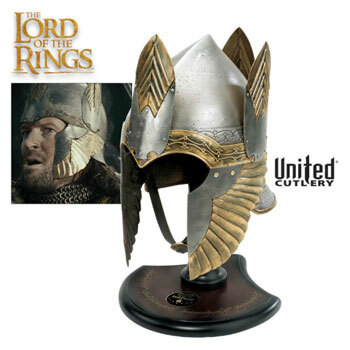 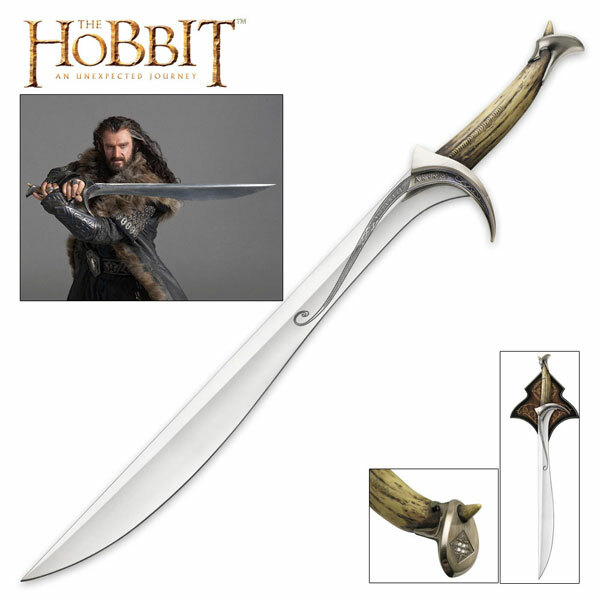 The blades are crafted of bronze-finished cast stainless steel. 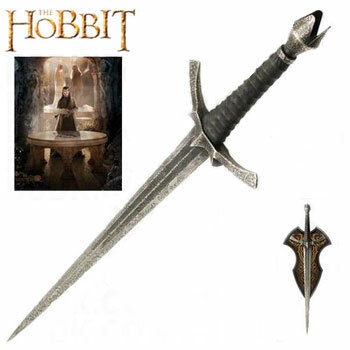 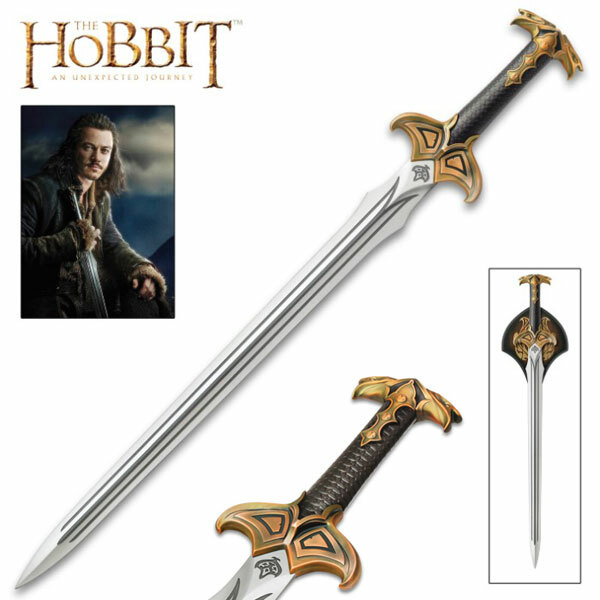 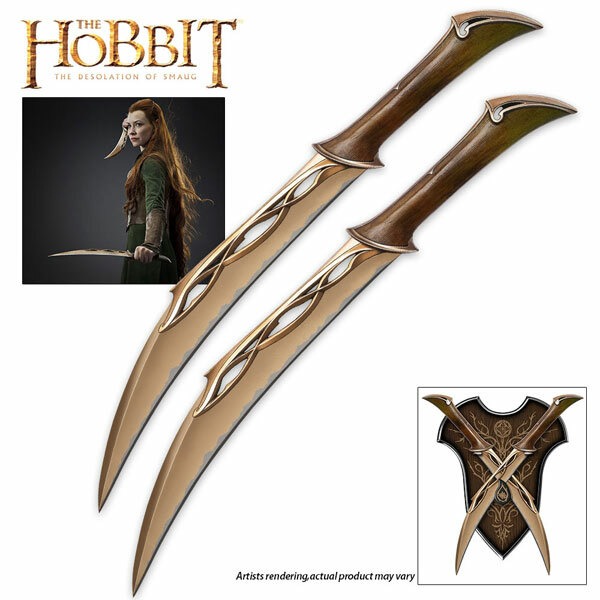 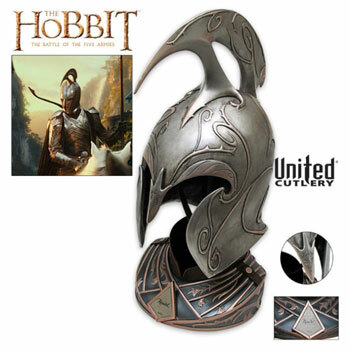 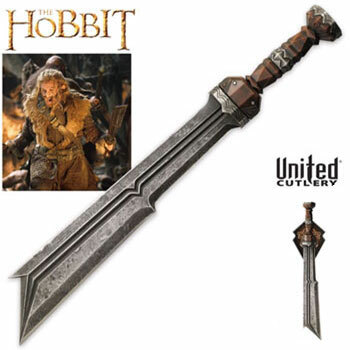 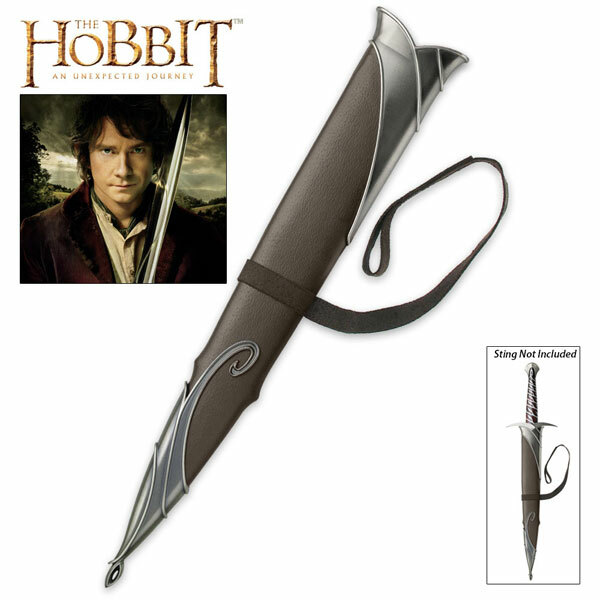 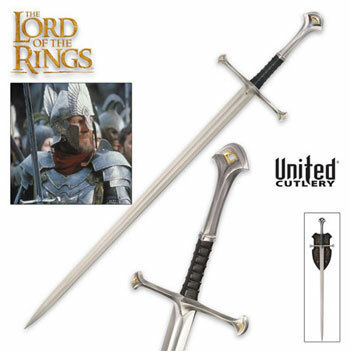 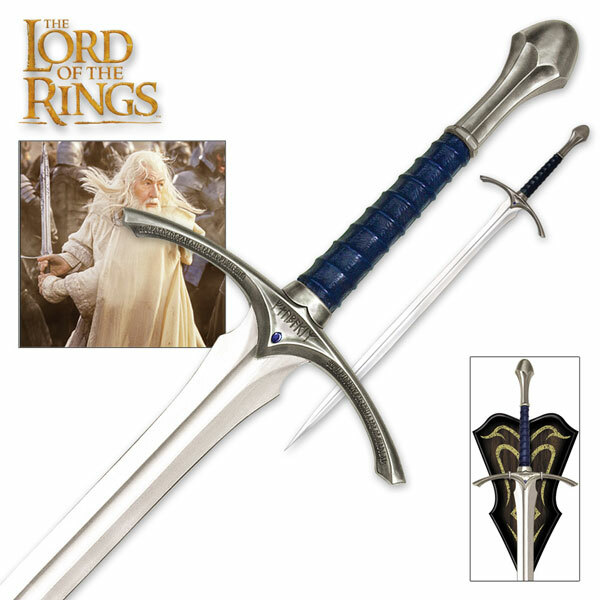 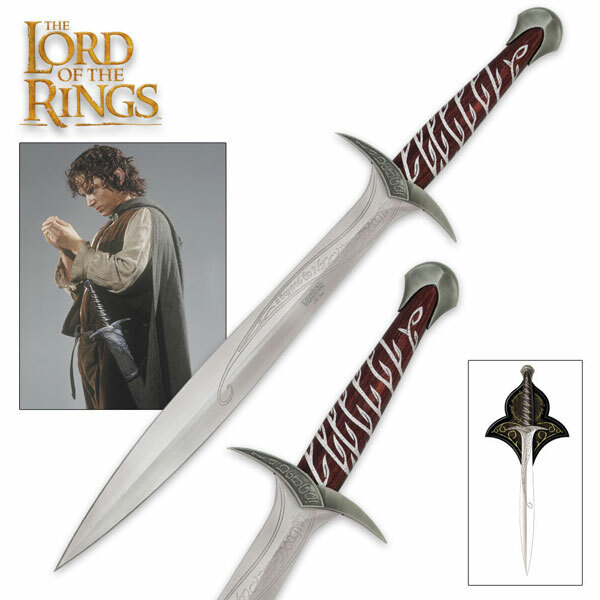 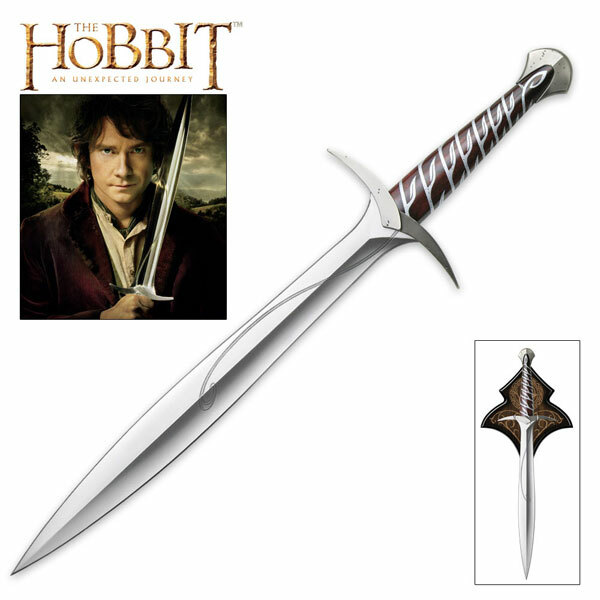 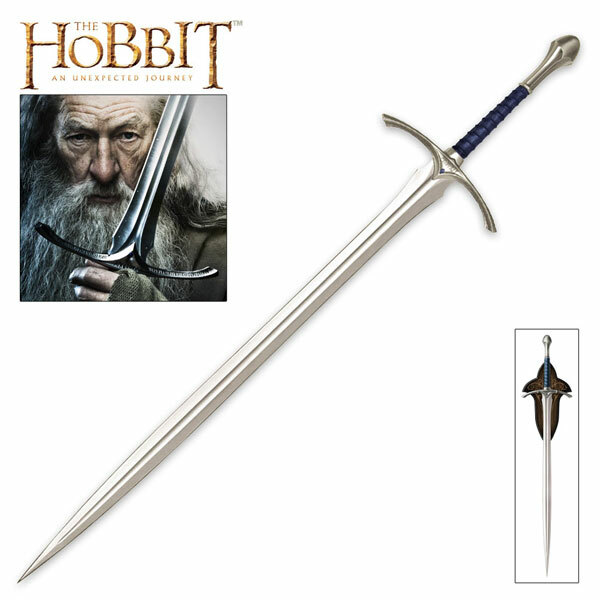 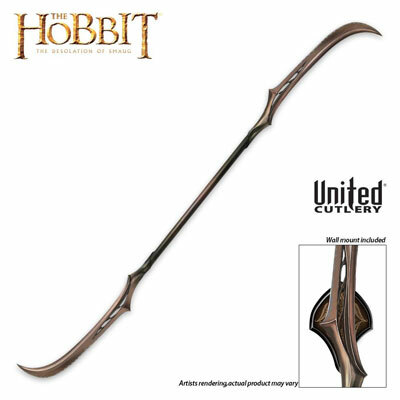 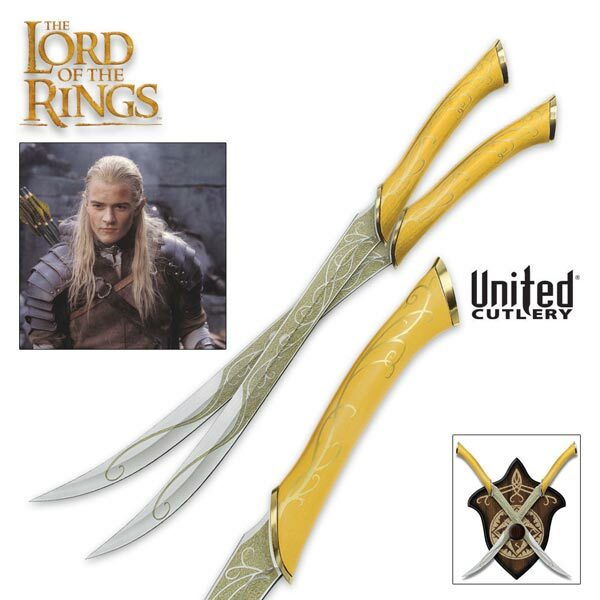 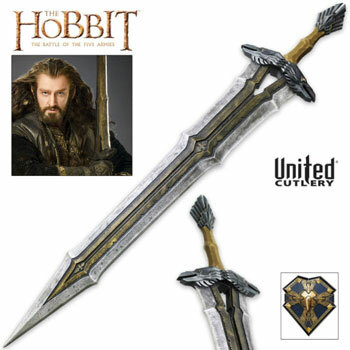 Made by United Cutlery, the Mirkwood Double-Bladed Polearm is an officially licensed Hobbit movie item. 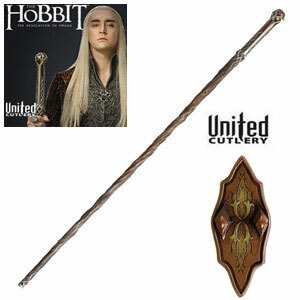 It includes a certificate of authenticity, a wooden wall display plaque, mounting hardware and display instructions. 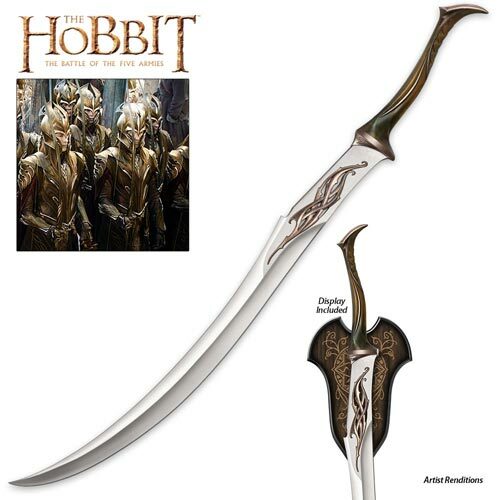 The plaque features an Elven pattern. 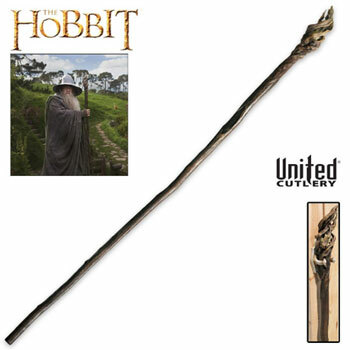 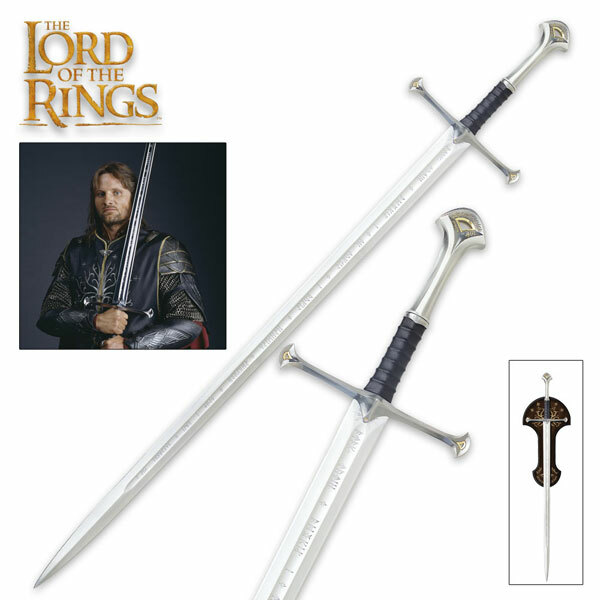 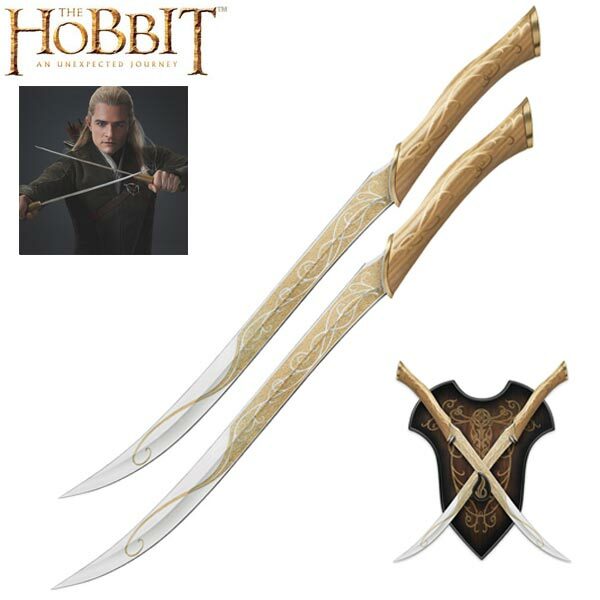 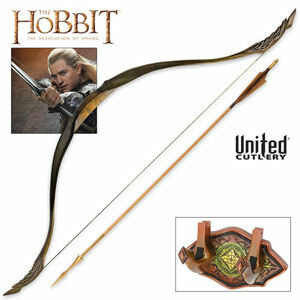 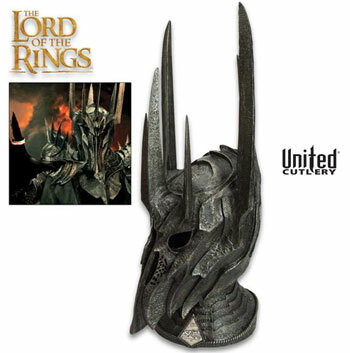 Buy the Mirkwood Double Bladed Polearm for $279.99.